In the years 1940 – 1945, the Germans built bunkers in the dune area, first as part of coastal surveillance (“Küstebeoabachtung”) later converted into coastal defense (“Küsteverteidigung”). But not only the coast had to be guarded, also the air strikes had to be caught. The Stelling Biber was fully established in 1943 and was part of an advanced air defense system. This system, coordinated from the Biber Defense Line, has had a special significance in this air war and for the village of Oostvoorne. Several types of bunkers worked closely together or formed an important part of this special Luftwaffe position. Hidden in the dunes of Oostvoorne there is a huge concrete colony from the Second World War in the vicinity of the Agathahuis . 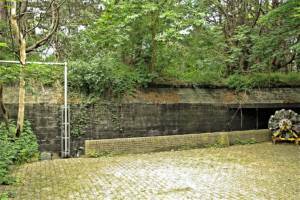 It is the Biberbunker, popularly referred to as such, built up with 3 meter thick walls. 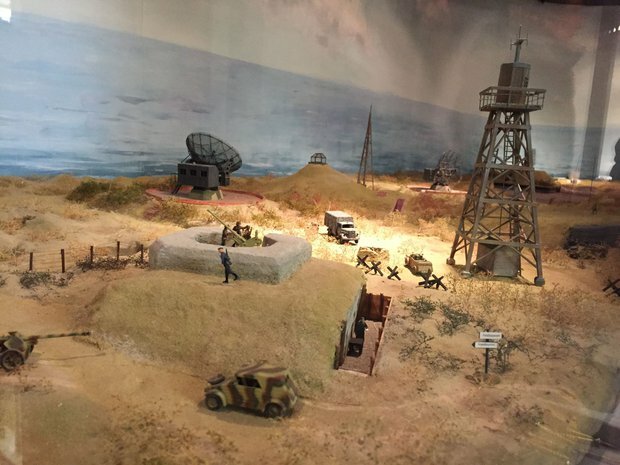 The bunker and Stelling, in which it is located, tell a piece of unique history. In the Netherlands there were 3 of these statements. In the Netherlands there were 3 of these positions, of which the Biber was the only one that has remained fully in use since 1945. The Biber bunker, officially designated by the Germans as the ST-type L487, codenamed Bertha, is a bunker that should definitely be seen because of its strategic role in the WWII air war, but also because of its later function in the ‘cold war’. The stories of the guides and the special role of this bunker complete the experience. Een kijkje in een bunker in Oostvoorne. Gids Dhr. Hollaar kan er veel over vertellen, reden genoeg om een rondleiding te reserveren. De Biberbunker, door de Duitsers destijds bestempeld als het St-type L487, codenaam Bertha, is vanwege zijn bijzondere karakter in WOII, maar ook vanwege zijn latere functie, een bouwwerk dat zeker gezien moet worden. Er kleeft ook een verhaal aan de bunker. De Biberbunker is gebouwd als radarcommandopost voor de Duitse luchtmacht (“Luftwaffe”). Van hieruit werden acties ondernomen om geallieerde bommenwerpers, op weg naar Duitsland, te onderscheppen. 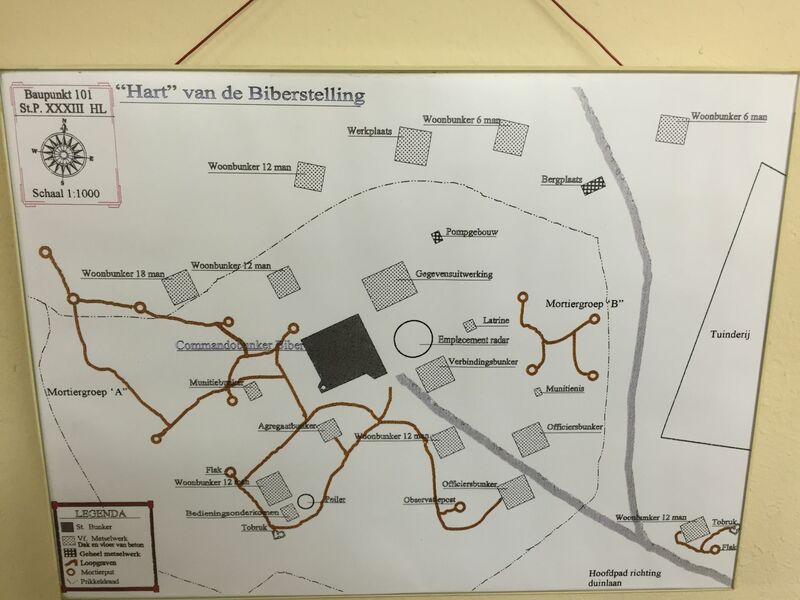 De bunker was onderdeel van het Luftwaffe complex genaamd “Stelling Biber”, een kleine 100-tal bunkers verdeeld over een gebied van ca 800 x 400 m. Deze bunkers hadden verschillende codenamen en nummers en waren verschillend in verschijningsvorm en functie. Als je goed oplet wanneer je door de duinen van Oostvoorne loopt ziek je vaak kleine heuvels waar hier en daar nog een stuk beton te zien. The Biber bunker, cited by the Germans at the time as the St-type L487, codenamed Bertha, is a building that must certainly be seen because of its special character in WWII but also because of its later function. There is also a story to the bunker. The Biber bunker is built as a radar command post for the German Air Force (“Luftwaffe”). From here, actions were taken to intercept Allied bombers on their way to Germany. The bunker was part of the Luftwaffe complex called “Stelling Biber”, about 100 bunkers spread over an area of ​​approximately 800 x 400 m. These bunkers had different code names and numbers and were different in appearance and function. If you pay attention when you walk through the dunes of Oostvoorne you often get sick of small hills where you can still see some concrete here and there. Why is a village on the west coast called Oostvoorne? Until around 1200, the islands of Voorne and Flakkee formed one whole. And on that island lay Oostvoorne in the east. A striking detail is that Oostvoorne has no ‘streets’. No road in the village is marked with a name that ends in ‘street’. If new streets are added, this is still used. The name Voorne was mentioned for the first time around 1100. Oostvoorne was then no more than a castle, a chapel and some outbuildings. Around 1350 a village started to form. This was mainly because Burchtvrouwe Machteld van Voorne founded a Kannonnye of a Dean and eight Kannunnikken at the court chapel. The village could not really grow, because little land was high enough to use. Later by damming, more became possible. Around 1500 the village had reached its current size in terms of area. Since then the number of inhabitants has been growing. Agriculture and animal husbandry were originally the most important form of income. Later that became more horticulture. 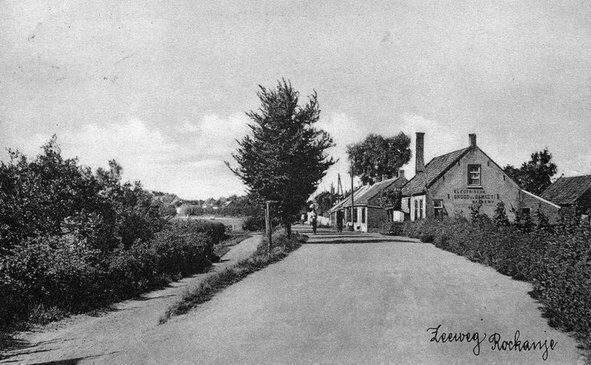 Oostvoorne has gradually been discovered by holidaymakers. The Kruininger Gors recreation center was founded in 1946. An area where 10,000 guests stay in the summer. Die Duinhuisies lyk nogal baie bekend en heelwat te sien ook in Suid-Afrika. The archive is housed in the Duinzoom dune house on the museum grounds at Duinstraat 18, 3235 NK Rockanje (near the Tenellaplas).